The Abbotsford library has a new display from its Special Collections: The Way to a Man's Heart....Settler communities and gender roles as reflected in 1950s cookbooks. Come and see selected titles from the Newman Western Canadian Cookbook collection. Societal norms in the post World War II era saw proscriptive expectations for middle class women, and these are reflected in the cookbooks on display. Titles such as Cooking with joy! 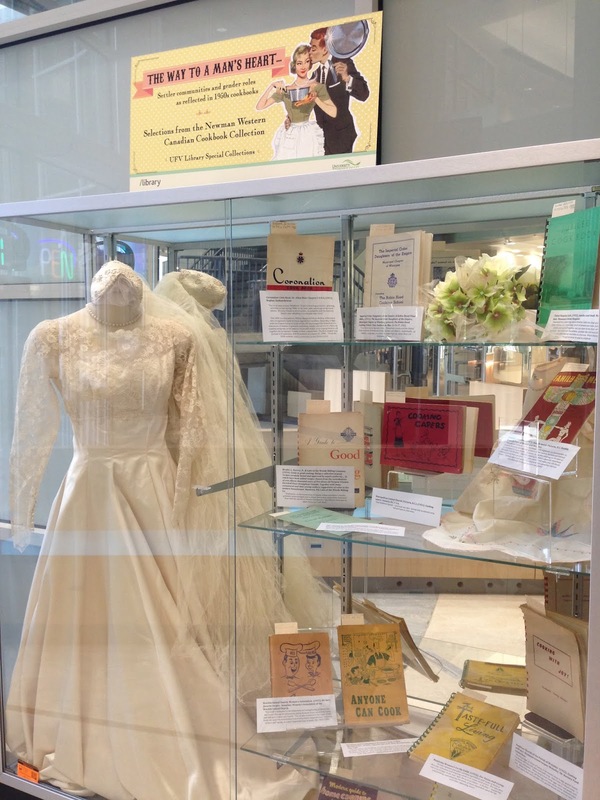 : husband tested recipes, the Saskatchewan homemakers' kitchen: a cookbook or the Coronation cook book, celebrating Elizabeth II's ascension, give readers a glimpse into the home life of Canadian settler women. Jessamyn Neuhaus, a. (1999). 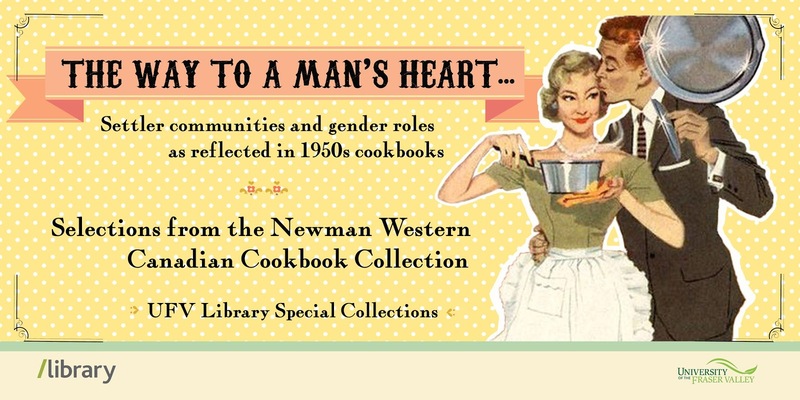 TheWay to a Man's Heart: Gender Roles, Domestic Ideology, and Cookbooks in the1950s. Journal Of Social History, (3), 529. Ronda Walker, W. (2004). Eat My Words: Reading Women's Lives through the Cookbooks They Wrote Janet Theophano. Western Folklore, (4), 373. Inness, S. A. (2006). Secret ingredients. [electronic resource] : race, gender, and class at the dinner table. New York : Palgrave Macmillan, c2006. This display will be available to view throughout the summer of 2018.